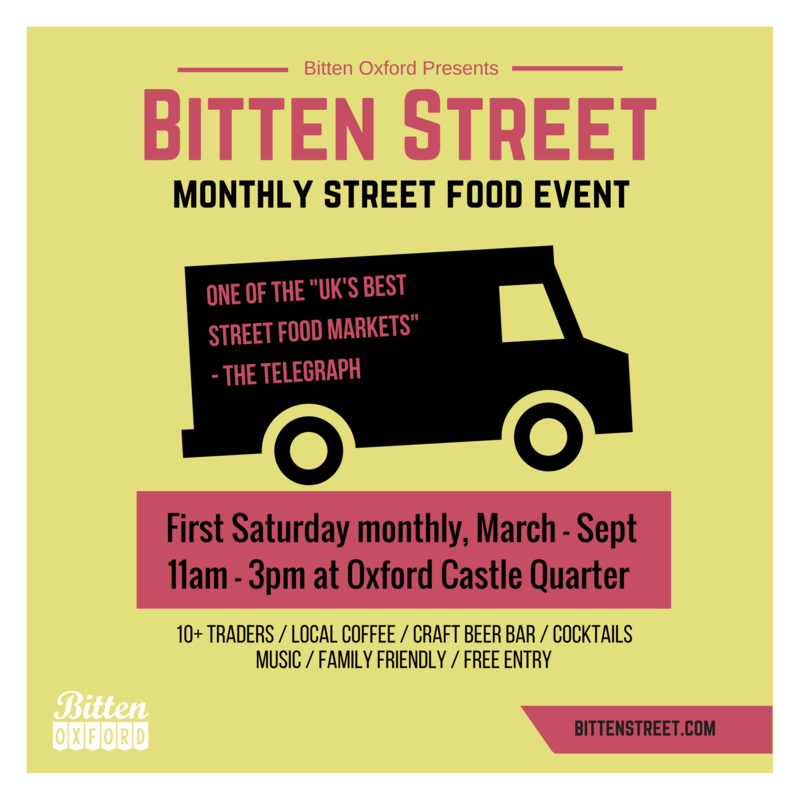 Bitten Street food market is back at Oxford Castle Quarter. Join us between 11am and 3pm on Saturday 4th March and then on every first Saturday until September. Hosting a regular collection of local traders, plus a glittering selection of the UK’s best street food traders from further afield, each event is unique. Every trader is hand-picked for their delicious food and epic vans/trucks/stalls.